The Violinist of Venice by Alyssa Palombo, out 12/15/15 in the U.S. from St. Martin’s Press. Out 11/24/15 in Australia from Pan Macmillan Australia. Like most 18th century Venetians, Adriana d’Amato adores music-except her strict merchant father has forbidden her to cultivate her gift for the violin. But she refuses to let that stop her from living her dreams and begins sneaking out of her family’s palazzo under the cover of night to take violin lessons from virtuoso violinist and composer Antonio Vivaldi. However, what begins as secret lessons swiftly evolves into a passionate, consuming love affair. Adriana’s father is intent on seeing her married to a wealthy, prominent member of Venice’s patrician class-and a handsome, charming suitor, whom she knows she could love, only complicates matters-but Vivaldi is a priest, making their relationship forbidden in the eyes of the Church and of society. They both know their affair will end upon Adriana’s marriage, but she cannot anticipate the events that will force Vivaldi to choose between her and his music. The repercussions of his choice-and of Adriana’s own choices-will haunt both of their lives in ways they never imagined. Spanning more than 30 years of Adriana’s life, Alyssa Palombo’s The Violinist of Venice is a story of passion, music, ambition, and finding the strength to both fall in love and to carry on when it ends. 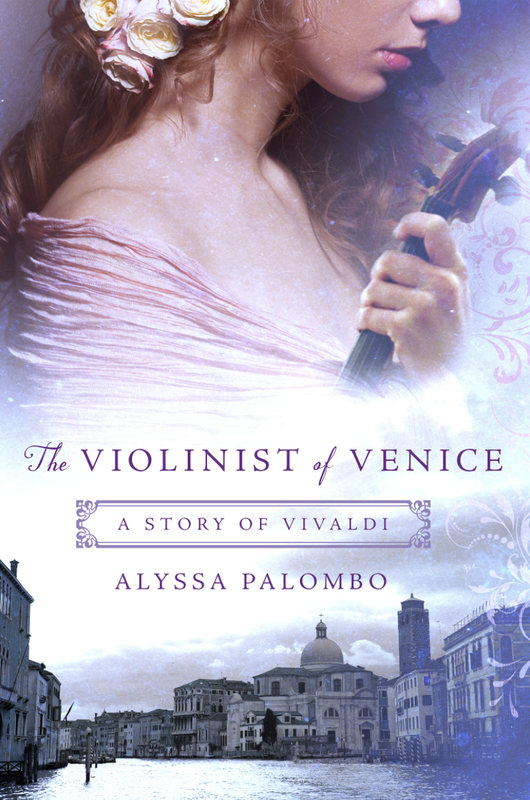 Pingback: Interview with Debut Author of Violinist of Venice: Alyssa Palombo | Oh, for the HOOK of a BOOK! I was totally enchanted with your book. Your ability to develop characters for whom readers like me can develop such emotional ties, is quite astounding. I was so upset that Adriana became pregnant, but how could she not have been during that time? I was so disappointed in Antonio when he left her high and dry, especially after he had pledged such undying love for her. The character who evoked the most emotion from me, however, was Tommaso. He loved Adriana as much as she loved Vivaldi, so unrequited love was a major theme, along with reconciliation and forgiveness. I will miss this book and its characters for a long time. Thank you so much for your lovely words! I really appreciate you reaching out, and am so happy that you enjoyed the book and that it resonated so much with you! Amazing book! I have just finished our Croatian edition of your book and I must say that this is one of the best books I have ever read! The story, description of characters and places… It was magical. Thank you so much! I love hearing from readers all over the world. Wishing you all the best! I just finished reading this beautiful story and thank you, thank you, thank you. I was so caught up in the love, passion and intensity of the story I didn’t want it to end. The characters were so true to life and the story so realistic of society in Venice at that time and set so beautifully against the backdrop of Carnevale.. Beauty, love, passion, rebellion, betrayal, heartache and finally happiness… this book has it all. Absolutely loved it!! Well done. Thank you so much! So lovely of you to say so, and I’m so happy you enjoyed it! Best wishes to you!